A pretty cool movie that works on multiple levels, inclduing as a tribute and conneting piece to each of the movies that came before it. A clever film that really picks up the pieces of all the movies that came before it and finds ways of connecting them all together. The story here is a take on the terminator plot, with a character going back in time in order to change the course of events. That works for this film because what it means is that we get to spend time with both the young and old versions of characters who we have come to love over the years. 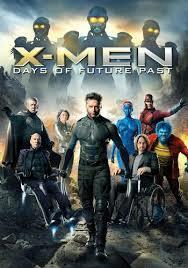 This is the movie that brings back the original X-Men cast and unites them with the first class team. That alone is an accomplishment, but the fact that this movie is smart and fun makes it all the better. The action isn’t always great, but the plot makes up for it and we get another strong X-Men film from the director of the first two moveis in the series. X-Men: Days of Future Past is a very fun and entertaining movie. It’s hardly the best X-Men movie, and actually ranks somewhere in the middle of the series, but that’s only because so many of the other films were just so great. This movie has many things that work about it and then only a slight few that don’t. It’s really tough to make a good superhero movie these days with all of them that are out there and the endless possibilities of both tone and ideas. Bryan singer made some of the best of them with the first two x-men films, but then we got iron man and batman begins and suddenly the playing field was transformed. It’s good to have Bryan Singer back doing x-men again. While this is the weakest of his three films in the series, it’s still a very cool movie. The film takes the approach of combining both the old world X-Men movies (the original films from 2000 – 2006), with the new cast from X-Men: first class. That’s a pretty ambitious move, but it’s also a fantastic one. We get both a young and old professor x here, and both a young and old magneto as well. the older versions aren’t given a whole lot of screentime, which is one of the downfalls of the film, but at least we get to see them all in the same movie. the storyline which connects them is pretty good too. the movie starts out in the future, when sentinels (giant robots) are hunting down mutants and killing them. a group of mutants is fighting them off by using their skills and abilities collectively. Kitty Pride (Ellen Paige) is sending one mutant, bishop, back through time to warn the others of when and where the sentinels will be attacking. this way they can always stay one step ahead. but it’s not working so well anymore, leading to lots of fighting. the action scenes at the beginning of the movie are pretty cool. we get to see colossus turning to metal to fight, while iceman freezes up and shoots ice everywhere as he goes sliding around on it, and there’s even a human torch-like character called sunspot, who turns to fire. all this while another character, named blink, shoots time portals into the air and characters jump in and out of them. it’s chaotic, but wild, and an exciting way to start off the film. when magneto and professor x show up (the older versions), they convince kitty pride to try to send wolverine back through time. the reasoning is that back in the seventies, mystique killed the guy who made the sentinels, and by doing that, she triggered a series of events that would lead to the sentinels being this powerful and deadly in the future. this is where the holes in the story start to come in. first of all, if the mystique thing happened in the seventies, why did it take this long for the sentinels to come out? secondly, as the story goes, the humans captured mystique when she killed the sentinels-creator (bolivar trask, played by peter dinklage), and then the humans were able to use her dna to create the sentinels. only the power of the sentinels is that they can touch a mutant and take on that mutanat’s power. but that’s not mystique. that’s rogue. it’s her ability to take other mutants’ powers. all mystique can do is change her appearance like the chameleon in spider man. so the whole mystique dna thing is ridiculous. the only reason they used her instead of rogue is because jennifer lawrence is a mega star these days, and they wanted to find a way to make her one of the biggest parts of the film. luckily, this is where the problems end. other then the mystique thing, which really isn’t such a big deal, the events and ideas of the movie are all pretty cool. wolverine has to travel back in time to stop mystique. in order to do that, he has to get the help of both the young charles xavier and the young magneto. finding these two guys and getting them to help isn’t exactly easy. i love what the movie does with charles (played by james macavoy), making him a sort of drug addict, recluse. he takes drugs that allow him to walk again, but hinder his telekinetic ability. wolverine has to snap him out of it. and then there’s magneto who has to be rescued from a holding cell many floors below the pentagon. wolverine and charles, along with beast, employ the help of a humorous mutant named quicksilver (evan peters of american horror story), to break magneto out. quicksilver has some very funny moments. there is of course the one where he runs around a room changing tons of things so that when time unfreezes all sorts of silly things happen, but i’ve seen moments like that in movies before. for me, a much funnier idea is the way he ties a guard up inside the elevator, using a ton of duct tape without ever blinking an eye. the absolute coolest thing about this movie is all of the tributes and connections it has to other x-men films. bryan singer really goes to town with that, showing clips from two different previous movies (x-men: the last stand with wolverine killing jean, and first class with charles finding a child mystique), as well as having many other references. when magneto floats metal balls in the air before using them as weapons, it’s right out of x-2. the bone claws that wolverine sports in the seventies are from his origins film. we even get a flash of brian cox as william stryker, doing experiments. and the movie finds a clever star trek (the 2009 jj abrahms film) way to change the timeline of the x-men films and bring certain characters back from the dead. as far as the story goes, it’s pretty interesting. i love the way magneto lifts metal train tracks into the air and then puts them into the sentinels just so that he can control them later on. the action is hardly the best part of the this movie, but it never really was singer’s strong suit. he’s more of a storyteller than an action director, and he basically uses a terminator-like storyline to unite all previous x-men worlds here. it works. that’s because singer is a master of mystery and suspense. just like what he did with the train tracks, showing us the setup before we knew the reason why, he does the same thing with magneto lifting a baseball stadium up into the air. singer knows how to do a scene like this right, showing magneto on the ground first, talking to the guy cleaning the field. it’s the little details like that, or the way the fountain attack in the seventies is shown on hand held seventies film stock, as if people there, in the street were recording it with their dated equipment, that make all the difference. 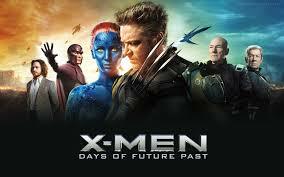 x-men: days of future past is a very entertaining movie. While i like what they did with the movie, and the way they included william stryker as a young man (the youngest incarnation of the three we’ve seen of him, including brian cox and danny huston,) as far as the timing goes, things don’t quite make sense. if wolverine went back into his body at the time before he got his metal claws, than sabertooth (victor creed) was still in his life, fighting in wars with him. i believe this movie takes place right after the vietnam war, so wolvie and creed were still buds. basically, this movie should have included sabertooth (as played by liev shriever), and had stryker played by huston. even if it was just for one scene, that would have added to the continuity of everything. it would have made it seem like when wolverine went back in time here, he really was going back to that time period in x-men origins: wolverine, when he just ended the vietname war and hadn’t had his bone structure turned into metal yet.